Lower the draw bridge and prepare for a dual! The New Knight's Castle Playhouse by Win Green is a fabulous kids bedroom accessory and a great way to encourage role play and imagination. With its slate grey fabric and blue gingham curtains, young Knights can keep an eye out for the dragon or watch for fair maidens who may need to be rescued! It goes great on its own or along side the Princess Castle for girls and boys who love to play. It's perfect for a bedroom hideaway or for taking outside on a sunny day! 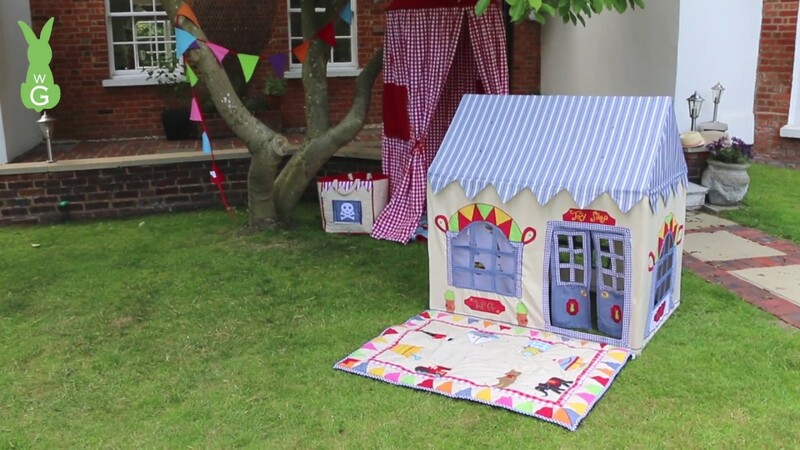 It's easy to assemble with a light metal frame and storage bag included; not to mention this enchanting playhouse can be used indoors and outdoors!